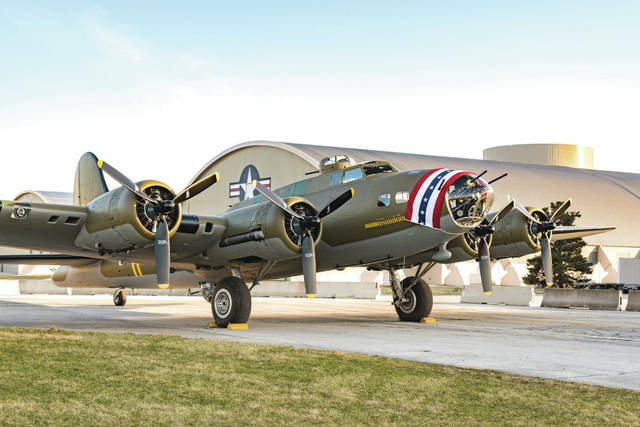 Don Tate | Greene County News The Memphis Belle was towed from the National Museum of the United States Air Force Restoration Hangar to the World War II Gallery before it opens to the public in May. The B-17 Shoo Shoo Baby was towed to the restoration hanger, where it will be placed in storage until it is transferred to the Smithsonian’s National Air & Space Museum. The Memphis Belle was towed from the National Museum of the United States Air Force Restoration Hangar to the World War II Gallery before it opens to the public in May. https://www.fairborndailyherald.com/wp-content/uploads/sites/50/2018/03/web1_memphisbellemovement6.jpgDon Tate | Greene County News The Memphis Belle was towed from the National Museum of the United States Air Force Restoration Hangar to the World War II Gallery before it opens to the public in May. 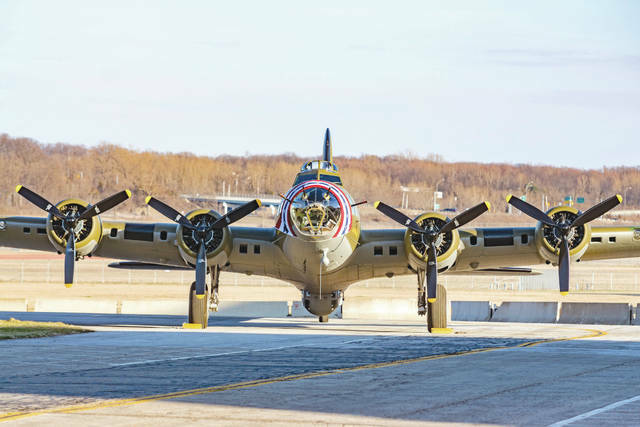 https://www.fairborndailyherald.com/wp-content/uploads/sites/50/2018/03/web1_memphisbellemovement1.jpgThe B-17 Shoo Shoo Baby was towed to the restoration hanger, where it will be placed in storage until it is transferred to the Smithsonian’s National Air & Space Museum. 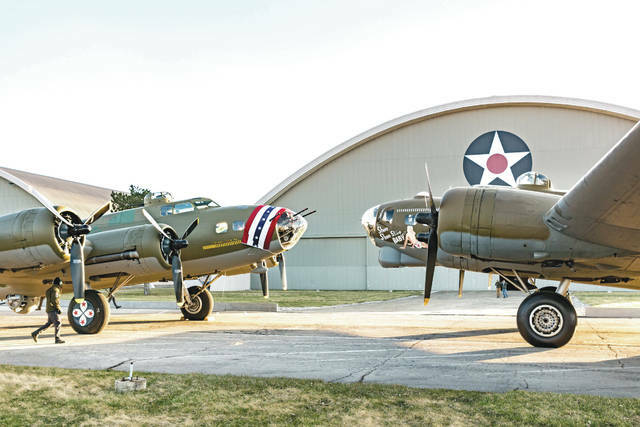 https://www.fairborndailyherald.com/wp-content/uploads/sites/50/2018/03/web1_memphisbellemovement7.jpgDon Tate | Greene County News The Memphis Belle was towed from the National Museum of the United States Air Force Restoration Hangar to the World War II Gallery before it opens to the public in May. 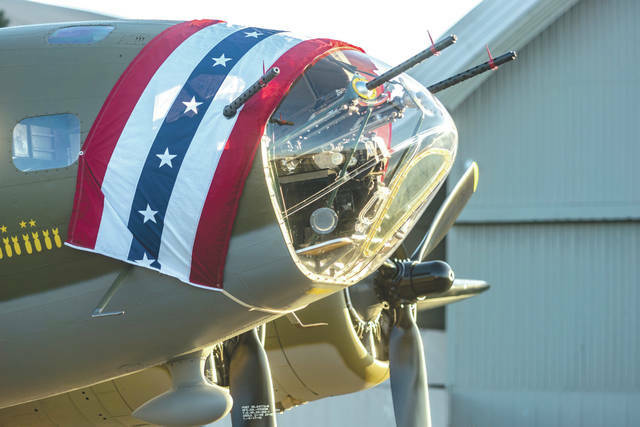 https://www.fairborndailyherald.com/wp-content/uploads/sites/50/2018/03/web1_memphisbellemovement3.jpgDon Tate | Greene County News The Memphis Belle was towed from the National Museum of the United States Air Force Restoration Hangar to the World War II Gallery before it opens to the public in May.